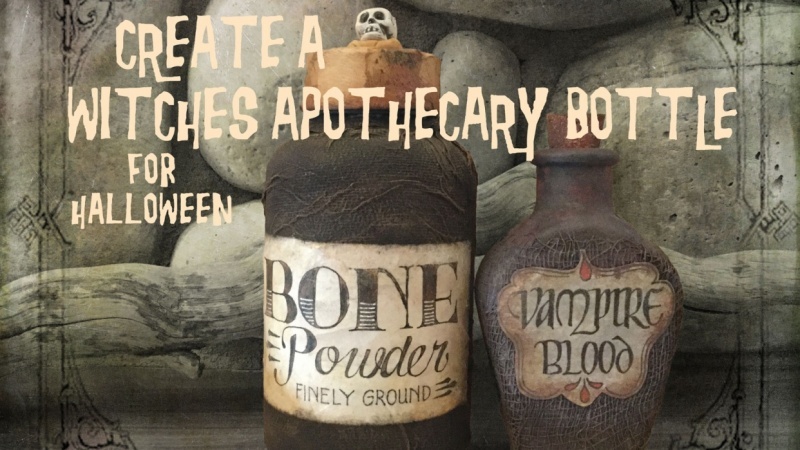 Using inexpensive materials found around the house, and various art supplies you may already have, instructor Kim Bliss teaches you how to create a witches apothecary bottle. Perfect for Halloween decor, you can create an entire collection of unique and interesting bottles. It is Kim's goal to open up your imagination to find different materials in creating your unique bottle. Students will be invited to create their own unique apothecary bottle using the techniques learned in Kim's class. Kim encourages students to find, make and/or purchase their own materials and embellishments to make the bottle their very own.